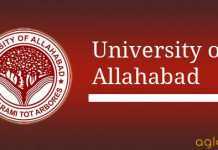 The University of Allahabad is conduced an Entrance Test for candidates seeking admission to its MBA (MONIRBA). The admission to the MBA course is based on Admission Test comprising of Written and Oral Tests. All tests will be conducted only in English medium. Interested candidates can check all the details like Application Procedure, Eligibility, Selection Procedure for MBA (MONIRBA) Admission Test 2018 is given here. Latest: List of selected candidates for GD & PI for admission to MBA has been released. Candidates can check for the same from “result page”. Schedule for Allahabad University MBA Admission Test 2018 is given below. The candidate has to fill and submit the Form online, in accordance with the instructions given in the said Website. Read thoroughly the Instructions for the filling and submission of the On-line Form. Review and ensure the correctness of the details of his/her academic record at Graduation, for purposes of making required entries in the On-line Form. If the candidate does not already have an e-mail address (e-mail ID), he /she should create for himself / herself a valid e-mail ID, in order that the MBA Admission Test 2018 Committee may send him / her significant instructions or information (as per need) by email. After completing and checking its entries the candidate should submit the On-Line Form by clicking the SUBMIT Button at the bottom for the online form. In the following circumstances, the Website shall refuse to accept the Form and shall give a message indicating the mistake (or mistakes) in the Form requiring correction. The minimum qualification for admission to the MBA programme shall be graduation from a recognized Institution (Degree Course of at least three years duration with separate annual/semester examination system) from any stream. Students appearing in the final year examination of the undergraduate class shall also be permitted to apply, subject to the condition that they furnish their final graduation pass result not later than the specified date. The admission to the MBA course will be based on Admission Test comprising of Written and Oral Tests. All tests will be conducted only in English medium. Written Tests (600 Marks): The written tests will judge applicants for proficiency in written communication, intelligence, propensity to observe facts and use them, propensity to grasp and use quantitative and scientific tools, general awareness, logical thinking, reasoning power, aptitude for management learning and practice, and maturity in terms of personality. Provided that there is negative marking for wrong answers, in pursuance of which, while 02 (Two) marks will be awarded for every right answer and 0.5 (Half) mark would be deducted for every wrong answer. Group Leadership (50 Marks) : The testing will be done by grouping the applicants in viable groups and conducting discussion on chosen themes to test the applicant’s leadership ability, group behaviour, and adjustment with group dynamics. The final list of selected candidates will be drawn on the basis of the overall performance of the candidates in the Written and Oral Tests. Provided that a candidate has to appear in all parts of the Written Tests and all the Oral Tests; thus, a candidate, who is, for whatsoever reason, absent at one or all the Oral Test(s) will not be considered for final selection for admission. Final result shall be declared on the official website of MONIRBA and displayed on the notice board of MONIRBA. Score in the Written Test, in case of their total marks being same. If a student fails to collect the intimation or deposit the fee by the required date normally he/she shall not be granted extension of time and the vacancy so created shall be filled up by the waiting list candidate in order of merit. be entitled to any TA/DA. 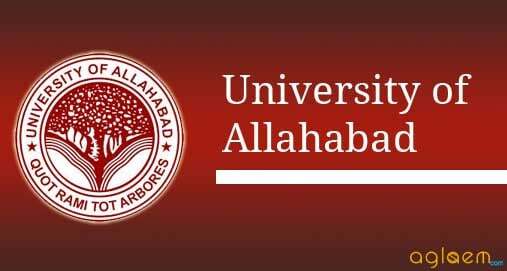 For Information Brochure Allahabad University MBA Admission Test 2018 – Download Information Brochure.